Airbnb community’s lady members share their experience of taking in guests from different parts of the world. What is there more kindly than the feeling between host and guest? While decor sets the stage for any party, it is also a great indication to your guests as to how much effort and thought you’ve put into hosting them within your home. Hospitality is not everyone’s cup of tea especially when you have to host a stranger from another part of the world, not for just a couple of hours but for a couple of days and nights. But, there are some born natural hosts. We meet three such great hosts from the AirBnB hosting community platform who are pros at doing just that. They talk about their experience and how have their lives transformed. I was into a corporate job but decided to give it up as it was too stressful and I was not particularly enjoying it. After quitting, I was trying to figure out what to do in life and was very keen to dabble in design. Though I graduated from NIFT Hyderabad, somehow I could not do pursue that. So, I was thinking of doing something in the field while pursuing my other passion—travel and photography. It was then that I heard for the first time about Airbnb from a friend and created my account on the platform. I joined the community in October 2014 and accepted my first hosting request from a guy with some trepidation. I used to live alone in a 2BHK rented apartment in Secunderabad and shifted to the guestroom so that my guest would be comfortable. It was a very interesting experience for me and it introduced me to a wonderful world. I didn’t have a cook around that time and used to cook for my guests but I enjoyed doing that. After hosting for the first time, inquiries started pouring in. Last year, I shifted to a bigger 2BHK accommodation in Banjara Hills, also a rented apartment, and now host from there. It is amazing how bonds and relationships get formed with strangers, how I meet incredible people from across the world,get to learn about their culture, and how I have realised over a period of time that people from different countries and continents are essentially the same. I have in fact hosted 100 guests so far and from countries such as Canada, US, Germany, Switzerland, China, Australia, New Zealand and Japan to name a few. What I have learnt: I have become a better judge of people and can trust people easily now. It is a very fulfilling and rewarding experience to open up your home to people, to ensure that their stay is comfortable, to bond over conversations with them, and to form lifelong associations. I was gifted Airbnb about seven years ago and since then I have been hosting people into my home. I joined the community in November 2011 and strongly feel that this experience gives you a global outlook as opening your doors to strangers opens up your vision as well. I got divorced at 47 and am a single mother. Though I teach French, I am fluent in other languages such as English, Hindi, and Tamil. We live in a 2BHK in Mumbai Central and hosting has given me the unique opportunity to break barriers, as it is a great platform to share your culture, your home and your country with people who are inquisitive about its richness. So, while you are earning from hosting, you are also growing in the process. I have hosted a documentary filmmaker, a stand-up comedian, students,medical tourists, and start-up entrepreneurs from different countries such as China, Israel, Japan, France and Russia in all these years and I am now a ‘super host’. 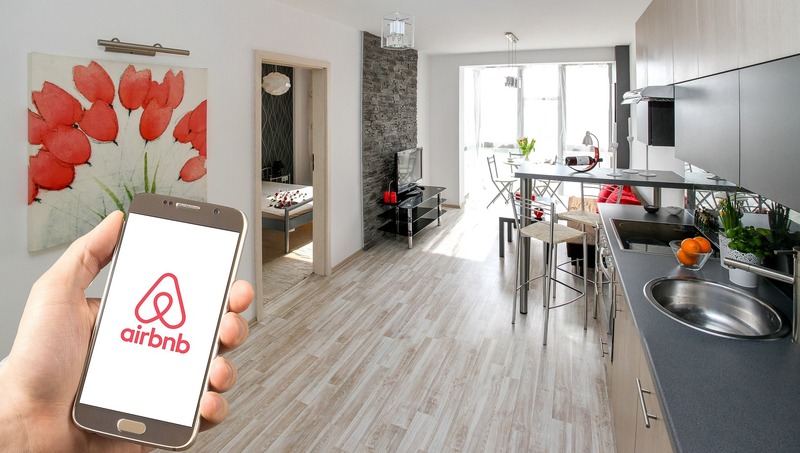 For me, the Airbnb platform is more than a source of income. I personally don’t like to use the word ‘host’ for myself. Being on the platform had given me an opportunity to share beautiful experiences with other human beings, of connecting with them, and in enhancing my skills as a human being. What I have learnt: Guests come with a handshake but leave with a hug. While my husband retired from the Army, I am a retired teacher and a freelance clinical psychologist. Suffering from the empty nest syndrome, as our children moved out to pursue their lives, we were at a loss as what to do with ourselves and feeling of loneliness. It was in August 2012 that we joined the Airbnb community of hosts after we renovated our four rooms and turned them into state-of-the-art space. We have a 1,000 sq yard bungalow close to most sightseeing attractions in Agra, and our first guest was a solo woman traveller from Switzerland-Germany border. Now, we have the title of ‘super hosts’ and barring Bangladesh and Pakistan, have hosted guests from almost everywhere across the globe. Life has immensely changed after hosting. I for instance, love to talk and have got audience for that in the form of my guests. What I have learnt: That hosting is a great way to connect with people and guests, help them shed their inhibitions, and look at life with a fresh perspective. There was this young girl from London ego stayed with us once and she very reserved and tight-lipped and hardly smiled. During my conversation with her one night after dinner, I asked her the reason for that and she told me how that was a conscious decision due to some childhood experience. Being a clinical psychologist, I counselled her and was heart warming to see her smiling and perfectly normal the next morning. What was even touching was that a year later, she came again to stay with her father, as he wanted to thank us for making her daughter full of life.